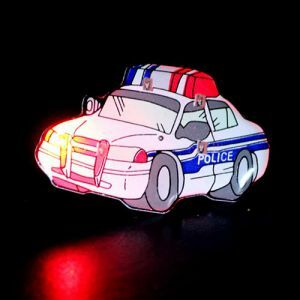 - Bright Fire Truck Blinky Badge! - 2 Blue and 3 Red LED Lights Look Like Sirens! - Charity Events! 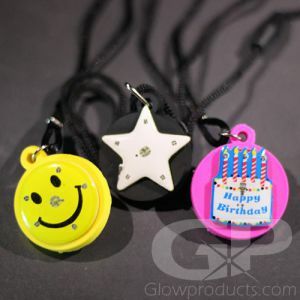 Birthday Parties! 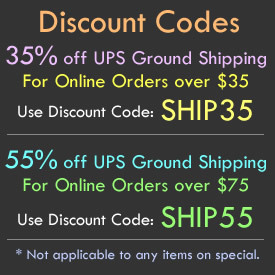 Local Fundraisers! Honor your local fire rescue department with our exciting Fire Truck Body Lights! 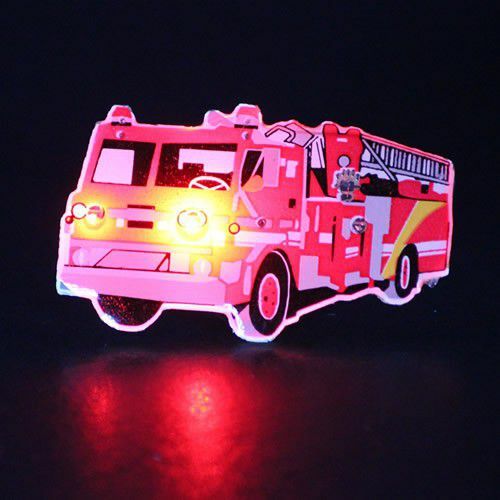 Flashing Blinky Fire Truck Pins are great for lighting up your next fire fighter event! Perfect for fundraisers, birthday parties and charity events, the Fire Truck flashing badges will be a huge hit. The 3 Red and 2 Blue Bright LED Lights look like sirens when the flashing lights are turned on, which is a very cool effect! The Blinky Fire Truck Body Light comes with a butterfly pin to attach it to any article of clothing, replaceable batteries are included.